Practices for the 2018-2019 season will begin Sunday August 26th! Please check our calendar for official practice times! UPDATE: Effective 10/1/2018 we will be moving to a monthly dues payment structure. Each child will cost $40/month. Siblings will receive a $20 discount after the first sibling. 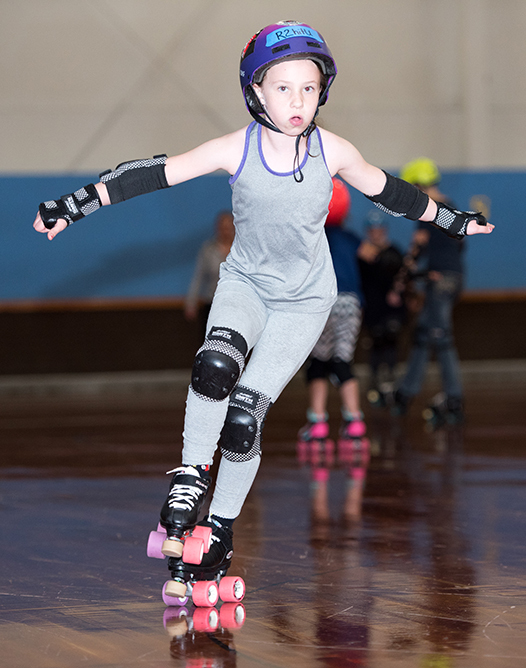 Please contact us at subduedcityrollers@gmail.com for more information on how to enroll. Roller derby is a full contact sport so we require full gear to practice. This includes a helmet, knee pads, elbow pads, wrist guards and a mouth guard.